Dementia gradually destroys the areas of the brain responsible for sending and receiving messages, making communication difficult. 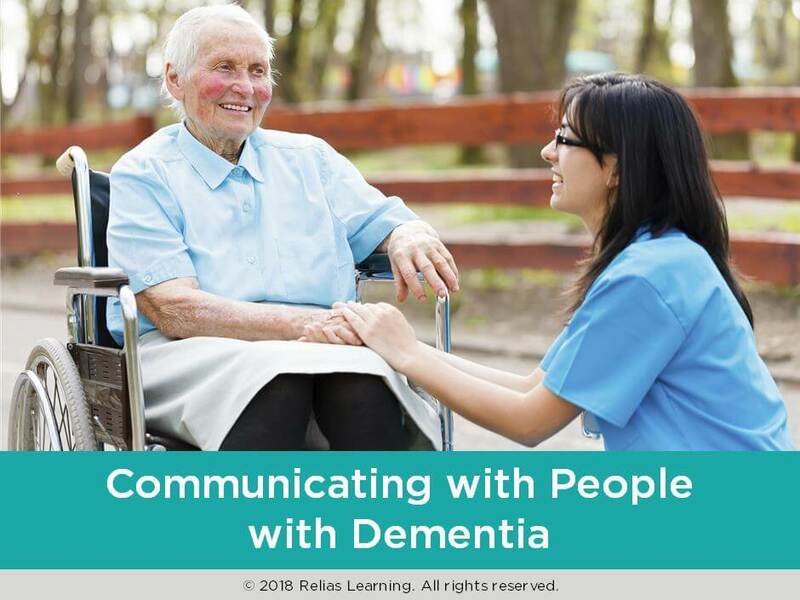 There are guidelines, however, that you can follow to ensure effective communication with persons with dementia, even those who have severe cognitive impairments. In this course, you will learn how to understand the person with dementia by knowing them as an individual and recognizing common speech patterns, how persons with dementia use behaviors for communicating discomfort, and the communication strategies you can employ to ensure the person receives your message clearly. Identify how knowing the person with dementia as an individual, not as a disease, promotes effective communication. Give examples of common communication changes people with dementia exhibit. Interpret the likely messages behind nonverbal communication in people with dementia. Summarize the techniques for communicating more effectively with people with dementia. Section 3: What is the Person Trying to Communicate? The target audience for this course is: entry level Administrators; entry level Direct Care Workers; entry level Nurses; in the following settings: Post-Acute Care.